Business Travel News continues to monitor reader site visits with the continuing Boeing 787 story easily the most popular. Our regular travellers, flight bookers and the industry itself clearly want to keep up to date with the ‘soap opera of the sky’. Business Travel News publishes here full details of the new UK Airport Departure Tax (APD) which is introduced today (Monday 1 April). For reasons that have never been properly explained by HM Treasury this is a capital to capital tax with some exceptions. UK domestic travellers, who in theory should pay nothing (London to London being zero), in fact pay twice if flying between British points. According to HM Treasury it is cheaper, tax wise, to fly from London to Hawaii than Jamaica. The British Air Transport Association (BATA), the trade body for UK-registered airlines, has commented on the publication of the ‘Aviation Policy Framework’ by the Department for Transport. During the first three days of the Bank Holiday weekend (still Monday to go) the new Classic Air Force visitor attraction at Newquay-Cornwall Airport, Britain’s only ‘living memorial’ to the aircraft of the 1940s and 1950s proved to be very popular. 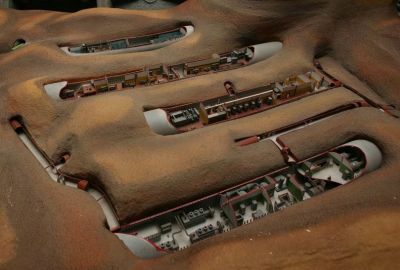 It is open day (1 April) as well. Dragon Rapide pleasure flights down to Land's End were constantly flown, the operation running at 100% load factor. 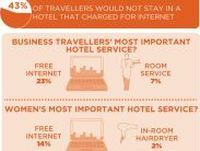 IHG (InterContinental Hotels Group) has introduced free internet for all loyalty card members worldwide. It is not the first major group to do so (Radisson offers all clients courtesy internet), but the announcement is a success for BTN and other publications who have been campaigning for this to be complimentary at all hotels. At London’s St Pancras Station users of the adjoining Marriott Renaissance who do not wish to pay internet charges only need to step outside and either find a seat or use one of the many cafes to link up with the world wide web. 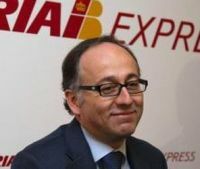 Following an agreement between some Iberia staff and IAG over job cuts Rafael Sanchez Lozano, Iberia’s CEO, has stepped down “by mutual consent” replaced by Luis Gallego, previously head of Iberia Express, and before that Chief Operating Officer at Vueling. A 20% Meteor discount is available for Business Travel News readers. 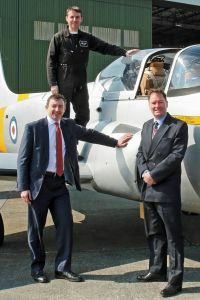 Air Charter Travel Ltd was established in 1992 by Tim Procter and Steve Williams after they had previously worked together at Air London Plc – the first broker of aircraft charters to float on the London stock exchange prior to its relaunch as Air Partner in 1999. 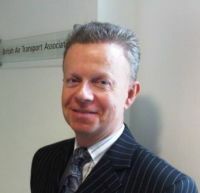 Tim Procter was Sales Director at Air London Plc. 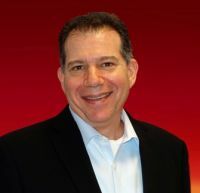 His previous experience also includes handling special charter flights for VIPs and unique group travel charters at Dan Air and Instone Air Transport. "Time and time again I’m told that charter flights are far too expensive for specialist groups – “I can get Ryanair for a quarter of that price”, says the group organiser. Whilst I doubt that to be the case for a group of 200 passengers, I agree that the advent of the low-cost carrier (LCC) has created a fantastic new travel medium for the low-cost traveller. But, unlike its schedule service forebears, LCCs are a flawed mode of transport for groups of business travellers, as well as prestigious conference and incentive parties, for the simple reason that they do not deliver the required levels of service to ensure a problem free and cost-efficient trip. 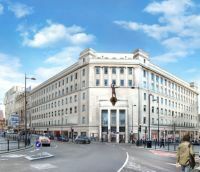 The opening of its Aparthotels Adagio last week marks the arrival of the serviced accommodation operation in the United Kingdom. Adagio is a joint 50/50 project between the Accor hotel group and Center Parcs. Originally privatised in 1995 to a British concern, TBI, Cardiff Airport has been bought back for £52m by the Welsh Government. 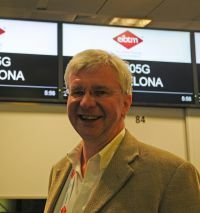 TBI is now owned mainly by the Spanish company Abertis with a minority stake held by the Spanish airports’ operator AENA. It also is responsible for Belfast and Luton airports, both of which are up for sale. Delta Air Lines last Monday (31 March) launched a third daily service between Heathrow and Atlanta for a total of nine daily non-stop flights to five US cities, all with fully-flat bed seats: New York-JFK, Atlanta, Detroit, Minneapolis-St Paul and Boston. Wi-fi is now on all transatlantic services. 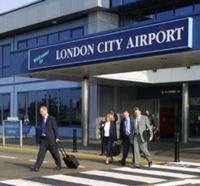 London City Airport has been awarded a grant by the Technology Strategy Board to run an ‘Internet of Things’ demonstrator – a concept being championed as the next wave of the internet. Virgin Atlantic took off yesterday (31 March) with its most low key introduction since the A330. The curiously named Little Red began a four times daily services from Manchester to Heathrow with 40 seats spare on a 174-capacity Aer Lingus A320 very much, cabin wise, styled Virgin Atlantic. The only give away was the Irish flight deck crew. Aberdeen flights (three times daily) begin 9 April and Edinburgh (six times daily) 5 April. It is a one class operation with hot bacon rolls provided on the early morning flights, and a full courtesy bar operation provided by four cabin staff. Flight time was just 35 minutes. Only passengers connecting to Virgin flights can use the airside coach transfer to T3 which is provided from the airbridge. At the Manchester end eligible passengers are able to use the old bmi facility (now the Escape Lounge) which is situated near the gate in T3. At Heathrow lounge arrangements have been made for T1 but the splendid Virgin Upper Class operation in T3 is impractical. Little Red plans to move to the Heathrow Terminal 2 during 2014. 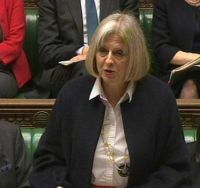 The UK Border Agency (UKBA) is to be abolished with its work returning to the Home Office, Home Secretary Theresa May has announced. She told the House of Commons "its performance was not good enough". It will now be split into parts, one focusing on the visa system and the other on immigration law enforcement. The same staff will be retained. A packed Aviation Club at the Institute of Directors heard Ed Bastian, President of Delta Airlines, deliver a forceful speech. Clearly the impending sale of Singapore Airlines’ 49% of Virgin Atlantic to the world’s largest air carrier was on everyone’s mind. Various legal parameters have to be cleared but the deal is expected to be concluded in the autumn. With Craig Kreeger, the new American CEO also sitting on the top table Mr Bastian made it clear that the Virgin-Delta coming together would be a true partnership “a partnership that we believe will drive great value for our customers, employees and our shareholders”. Back in 1951the Cold War was at its peak. Russian Supremo Joseph Stalin was very concerned that the United States might bomb Moscow. But his fear was not just normal bombing. Hiroshima in 1945 had heralded in the nuclear age. Its results were fearsome. Not for Stalin, Churchill’s War Rooms just a few feet underground in Whitehall. He wanted real protection. One of America’s lowest profile airlines, US Airways, is the latest arrival at Heathrow, dropping its Charlotte, North Carolina, daily flight to Gatwick and relocating the service to T1, as of today (1 April). 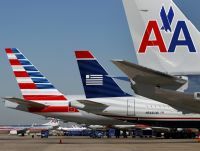 The airline, currently negotiating the takeover of American Airlines, is already established at Heathrow with a daily Philadelphia flight. It also has a daily Manchester – Philadelphia operation. The recent bad weather is not the reason that Flybe has quickly come out with its winter schedule. This is the time of year when airlines introduce their new end of summer time programme, which this year starts Sunday 27 October. 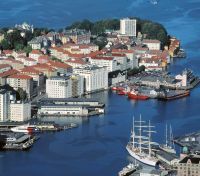 easyJet, the UK’s largest airline, is to launch daily services commencing 20 May from Gatwick to Bergen, known as the ‘Gateway to the Fjords’, in direct competition with Norwegian, and also British Airways out of Heathrow. It will be the airline’s first ever route to Norway and the 33rd country that the airline flies to. easyJet expects to attract more on 100,000 passengers on to the route. 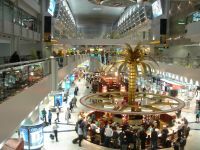 Dubai International has been confirmed as the world’s second busiest airport for international passenger traffic, moving ahead of Paris Charles de Gaulle airport for the first time. Gatwick has a new sole foreign exchange provider at Gatwick following a formal tender process. After 20 years at the airport this new deal secures Moneycorp’s future for a further five years. Out goes Travelex and no doubt the exclusive scheme will be closely monitored by consumer groups to hopefully ensure competitive rates. The airport says that 10% of passengers use the Bureau de Change units and ATMs. Scandinavian Airlines (SAS) is to move away from the traditional airline class model with a new approach to its fares and cabins. 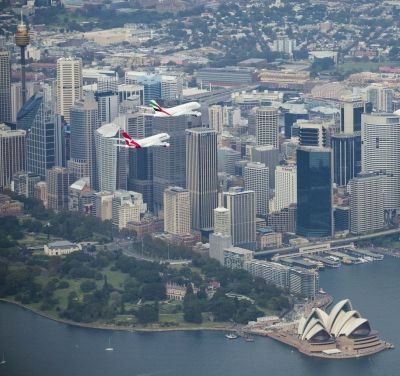 Amongst the various topics discussed was the US – UK and US – Europe air passenger figures. The CAA has provided us with the total UK – US numbers for 2012 (17.2m) of which 4m were between Heathrow and the two New York airports of Kennedy and Newark. Gatwick has no services now to New York, the only alternative the common rated London City – Kennedy Business Class prestige operation which increased its carryings last year by 3% to 22,165.